alternately titled "I turned 30 yesterday!" My celebration did not include cake. Or presents. I received 3 cards, 1 phone call, 1 tweet and 80+ (!) Facebook messages. Anyway. My birthday was still pretty great, despite the distinct lack of cake. Instead, I slept in. I took care of a few things around the house that I'd been meaning to get to this week. One of my best girls called me to wish me a happy birthday and we chatted for a while. Then I went and got a mani-pedi. It was a restful and relaxing day. It was great spending my birthday in class with a bunch of my favorite people. I smiled and laughed just about the whole time (and if you've ever been to Sarah's Core Focus class, you know that's not easy!) On the way out, lots of people wished me well and made me smile even more. 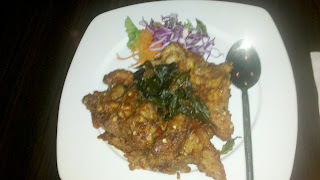 After class, we walked across the street to Bangkok 54 for dinner. It's a pretty restaurant, although the company has slowly been taking over all of the businesses on the block and each of the 4 storefronts has a different sign. 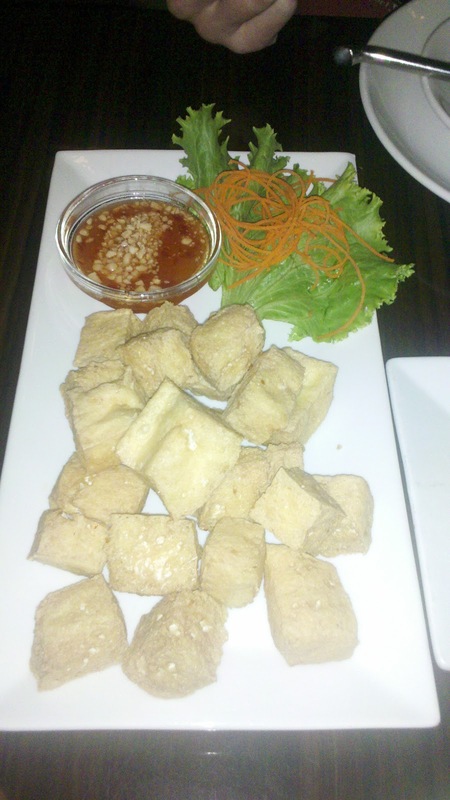 Crispy Tofu. Deep-fried goodness with a sweet peanut-chili dipping sauce. WIN. 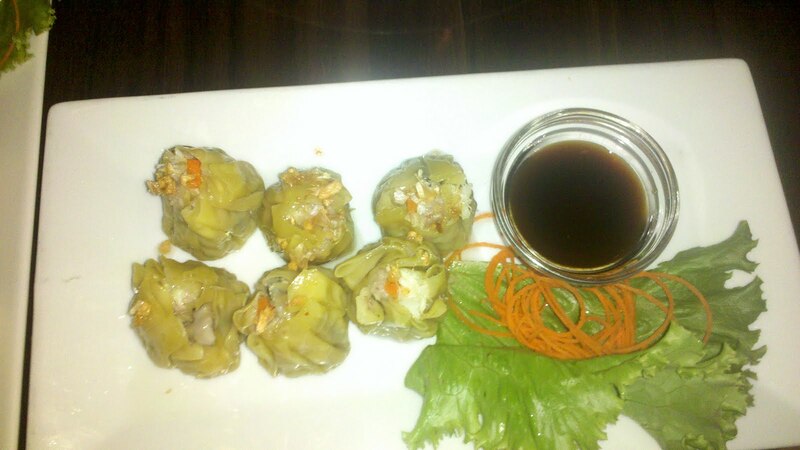 Thai dumplings. Crabmeat, pork, and water chestnut in wonton skin with sweet-soy sauce. Another favorite of mine! 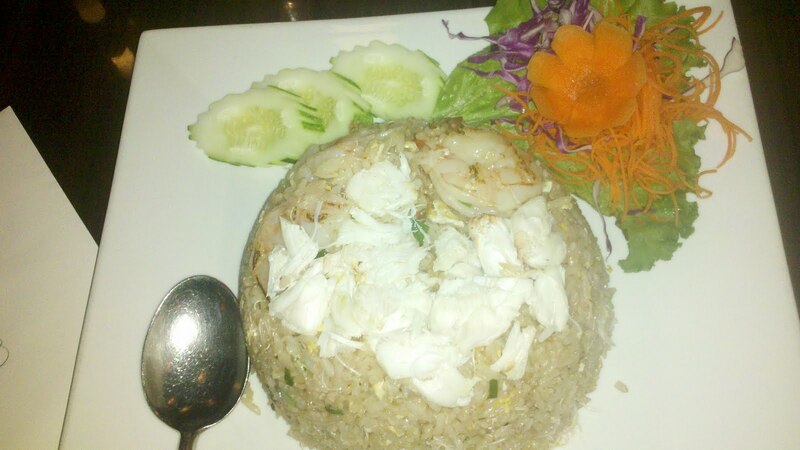 Shrimp & Crabmeat Fried Rice. Beautiful presentation, but lacked some flavor. Thai fried rice is often served with lime, and I think a little citrus would have gone a long way here. 54's Spicy Roasted Duck. Crispy roasted duck with chili peppers, garlic, and crispy basil leaves. Excellent, although some of the bigger pieces were a little dry. The smaller, fattier pieces were my favorite--rich and spicy and crunchy! Unfortunately, Bangkok 54 no longer serves my favorite dessert--sticky rice with coconut custard. But have no fear! There are a bunch of great Thai restaurants on Columbia Pike so we walked across the street to Rincome and I was able to get it there. Crisis averted! What my birthday lacked in cake and candles, it made up for in well wishes from friends, and my general sense of happiness and contentment with my life right now. I'll leave you with this quote from the card my friend Katherine gave me. With days like this, I can't foresee giving up my enthusiasm... ever. Thanks to everyone who made my birthday special! I love you all!